Two of the leading causes of accidents on the road either fall in the category of distracted driving or driving under the influence of Alcohol. 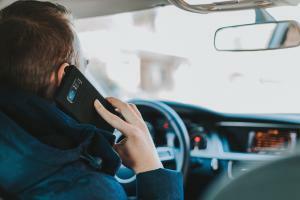 Researchers from the University of Michigan found that accidents caused by distracted drivers were double those of drunk driving in the year 2017. Accidents from distracted drivers are becoming more common and resulting in injuries and damage to property. Therefore, it is evident that distracted driving is a significant issue in the state of Michigan. In Michigan, 24% of distracted driving cases were primarily caused by distractive electronic equipment such as phones or car radios. Statistical analysis reveals that approximately 23% of all cases occur on highways and 27% of the victims sustained at least one injury. A total of 73 deaths resulted from 60 distracted driving accidents involving pedestrians, cyclists, passengers, drivers and a snowmobile operator in the year 2017. A distracted driver survey done by AAA in Michigan revealed that most residents highlighted texting as their main worry when driving. Most drivers admitted that they read text messages when they are driving despite the laws in place against such practices. In Sec. 257.602.b of Michigan’s anti-texting law, drivers are not permitted to read, type or deliver text messages through any communication device in their possession when driving a vehicle in the state. Offenders will be culpable for a fine of $100 for first-time offenders and $200 for subsequent offenses. A Car accident lawyer at our firm can help you understand Michigan No-Fault Insurance. The Michigan communities with the highest rates of distracted driving were Detroit, Grand Rapids, Bloomfield Township, Sterling Heights, and Lansing. In terms of counties, Wayne County topped the list having the highest number of distracted driving cases together with Oakland, Kent, and Macomb respectively. Being at the top of the list, Wayne county also recorded the highest number of deaths in 2017. If you or a loved one was recently injured in an auto accident, speak with a Michigan car accident lawyer at Elia & Ponto. Generally, distracted driving is defined as any activity that deviates the attention of a driver from safely driving. It includes activities such as using a mobile phone, heated conversations with passengers, distractive in-car entertainment or looking at the navigator and maps. Consequently, the distractions can either be categorized as visual, cognitive or manual. Fundamentally, the reduced attention increases the probability of an accident occurring. A Michigan auto accident lawyer at our firm can help you file a car accident claim if you were involved in an auto accident. Due to the potential for harm and damage to property, it is essential for drivers to avoid distractions as much as possible. Some of the recommendations on how to avoid distractions revolve around prior preparation and self-control when driving. For instance, drivers should always be familiar with all the necessary equipment in the vehicle before proceeding to drive. All equipment such as radios or controls should be set when the vehicle is not in motion. Additionally, all loose items should be secured to prevent unnecessary movement during driving. A Detroit car accident lawyer at our firm can help you today! Drivers should also express restraint by avoiding activities such as watching videos, playing games, texting, drinking, eating or using distractive equipment when driving. If it is necessary, the driver should ask for the assistance of a passenger or safely pack the vehicle. Additionally, distractions can also be reduced by having breaks to refresh when driving long distances. The driver should have sufficient rest before the drive and avoid medication of substances that are known to induce drowsiness. Practicing these behaviors will go a long way in reducing the possibility of accidents caused by distractions.